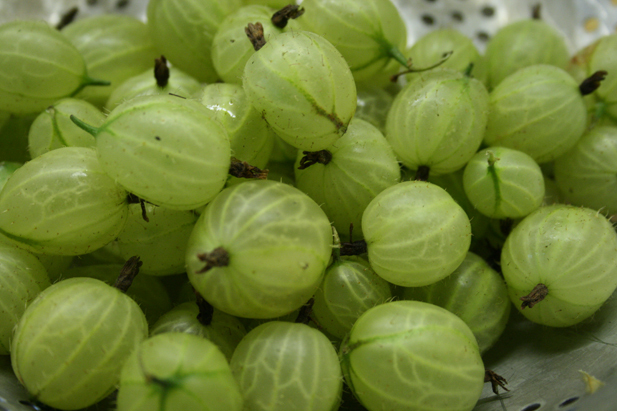 Cook the gooseberries with the sugar on the stove until soft and starting to break down, then roughly blitz. Add the cordial and allow to cool. Whip the cream until it reaches the ribbon stage and fold gently into the gooseberry mix, reserving a little to spoon into the bottom of each glass. Spoon the fool into each glass and refrigerate for at least 2 hours. 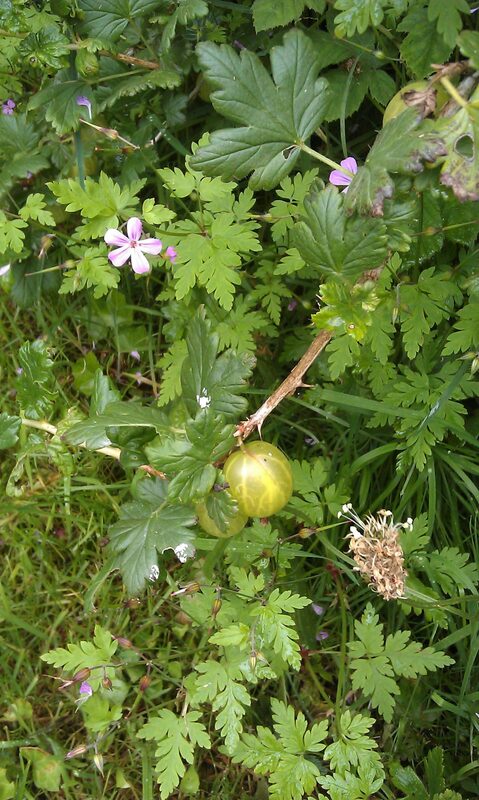 Finish with candied gooseberries, if you have them, and a sprig of mint. To make the gingersnaps: beat the butter and sugars until light and fluffy. Add the treacle, vanilla seeds and eggs, then add all of the dry ingredients. Mix until combined, cover and chill for a least an hour. When firm, roll into 1cm balls, then roll in granulated sugar, coating thoroughly. Place onto a non stick tray and flatten with the palm of your hand until 1cm thick. Cook at 180°c/gas 4 for 15 minutes, allow to cool on a wire rack. Serve in glass dishes with the gingersnaps on the side for dipping.